The Vilnius City Council on Wednesday finalized preparations for the tender for the national stadium concession. Mayor Remigijus Šimašius says the tender would be called shortly to pick a consortium to build and manage the stadium. "The terms and conditions are very clear and transparent, put together as a result of a series of consultations. We put the economic aspect first, the size of the stadium and the experience of operation, even design and acceptability for the city," Šimašius told journalists. He expects the construction to be finished in a few years, if the preparations and the selection of the concession company goes well. Jūratė Juozaitienė, spokeswoman for the prime minister, has told BNS that seven foreign companies, including Germany's Siemens, France's Vinci Concessions and Poland's Budimex, have expressed interest in becoming the operator of the multifunctional complex. The Vilnius municipality expects to select the concession company and sign a contract next March. Investment in the object will total €88.4 million, including some of the money earmarked by the EU. 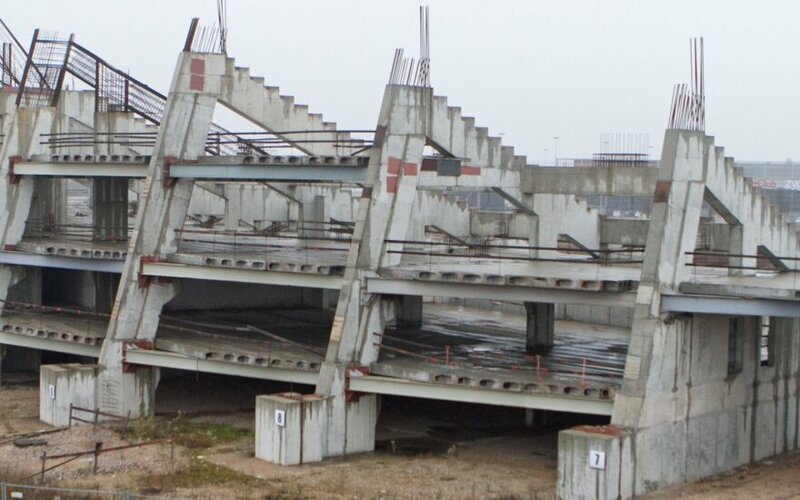 The stadium next to Akropolis shopping mall in Vilnius was started in 1987 and conserved in 1993. After investing further €33.6 million in the project in 2008, the construction work was dropped due to shortage of funds.